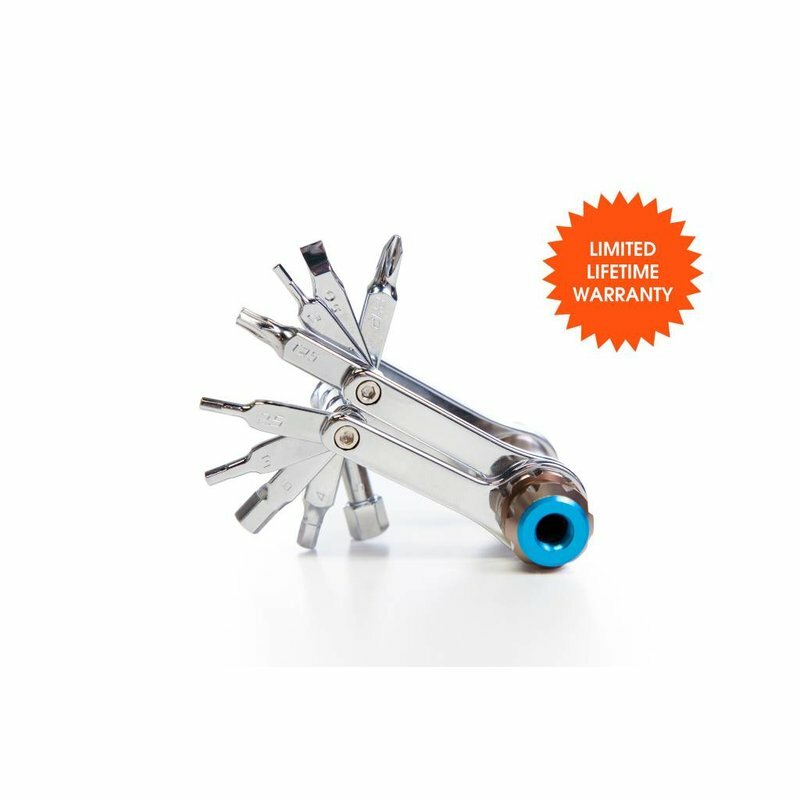 This cycling multi tool kit features a Phillips and Flathead screwdriver. Compact in design so you can create more room in your saddle bag for other necessities. 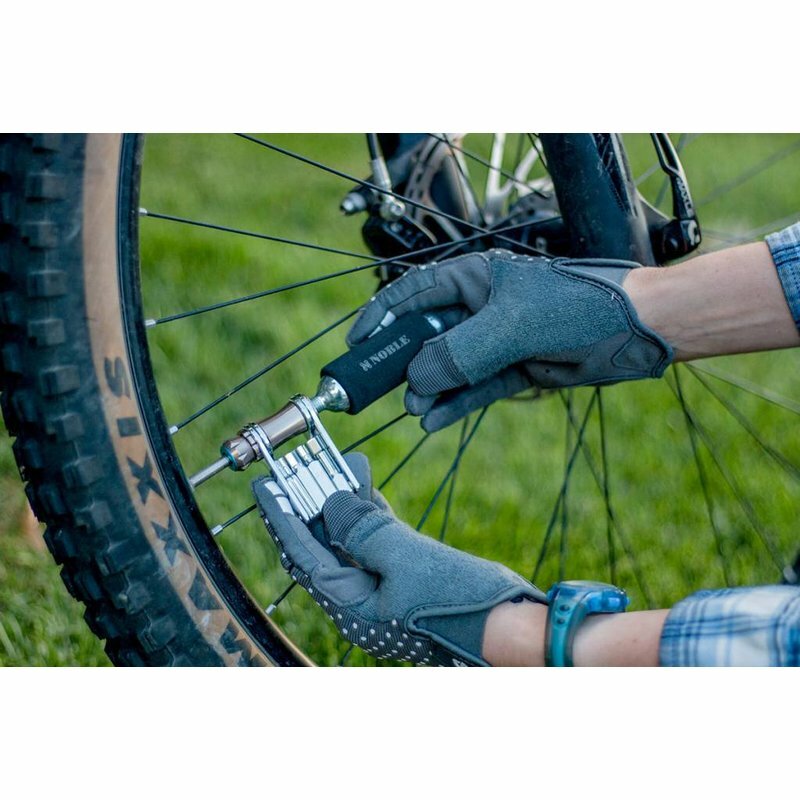 This cycling multi tool kit features a Phillips and Flathead screwdriver. Compact in design so you can create more room in your saddle bag for other necessities. 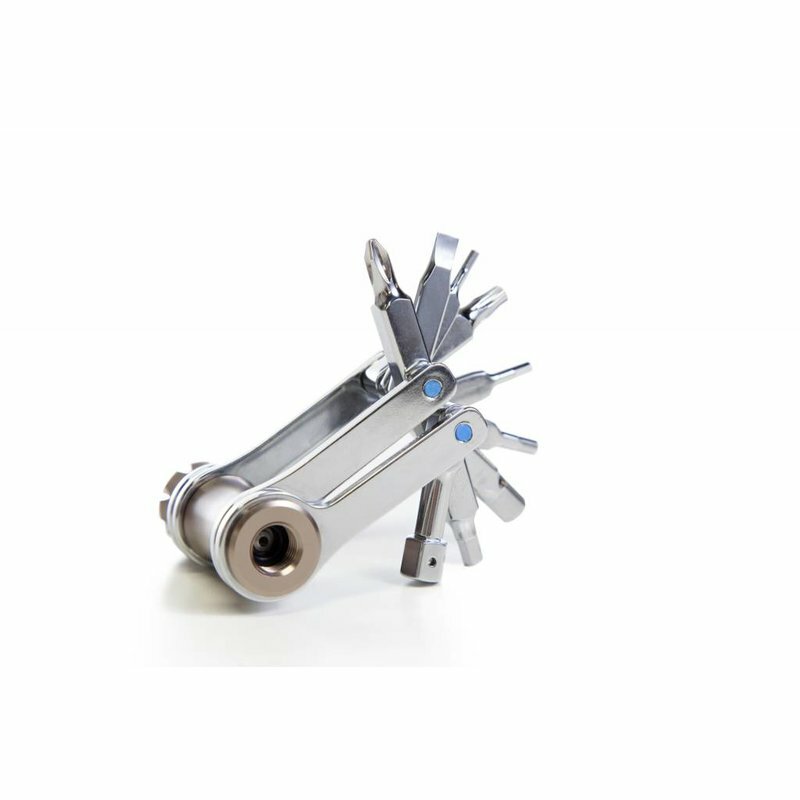 Made of all metal, this cycling multi tool kit is lightweight and microsize. 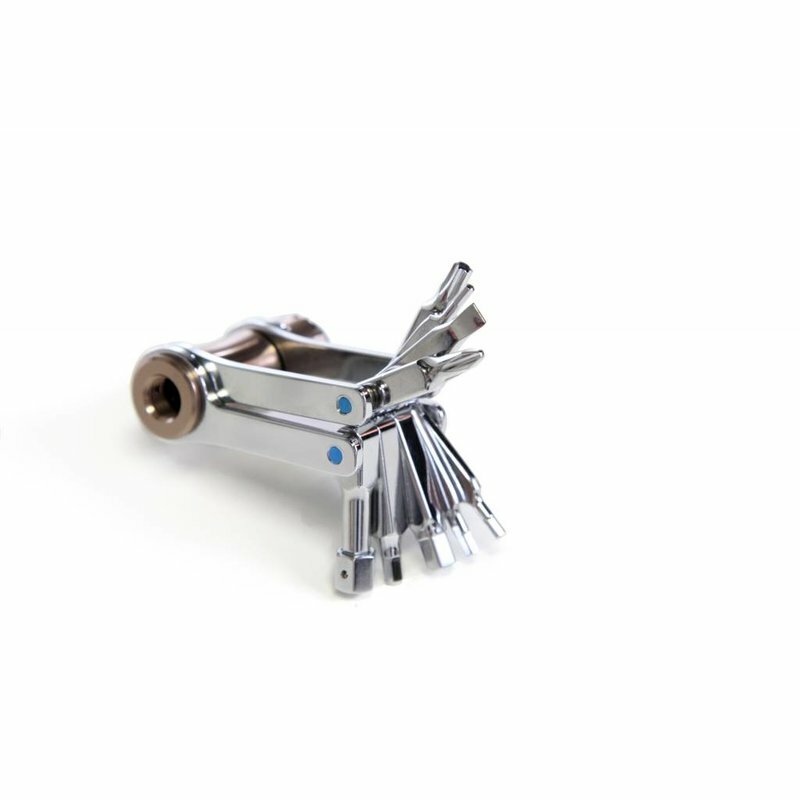 A cycling multi tool is a necessity for any type of bike ride. The Noble 11-in-1 Mini Tool kit provides all the tools you need; a C02 inflator, hex drivers 2,2.5,3,4,5,6,8, star driver, and the ability to fit in a jersey pocket or small saddle pack. 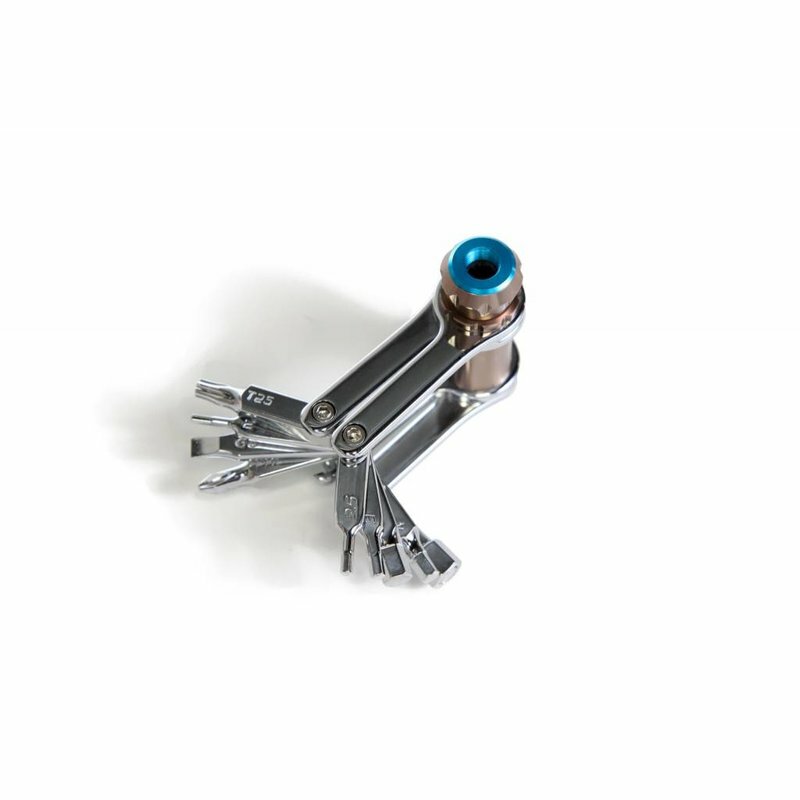 The all metal design gives plenty of strength and durability in a small package. 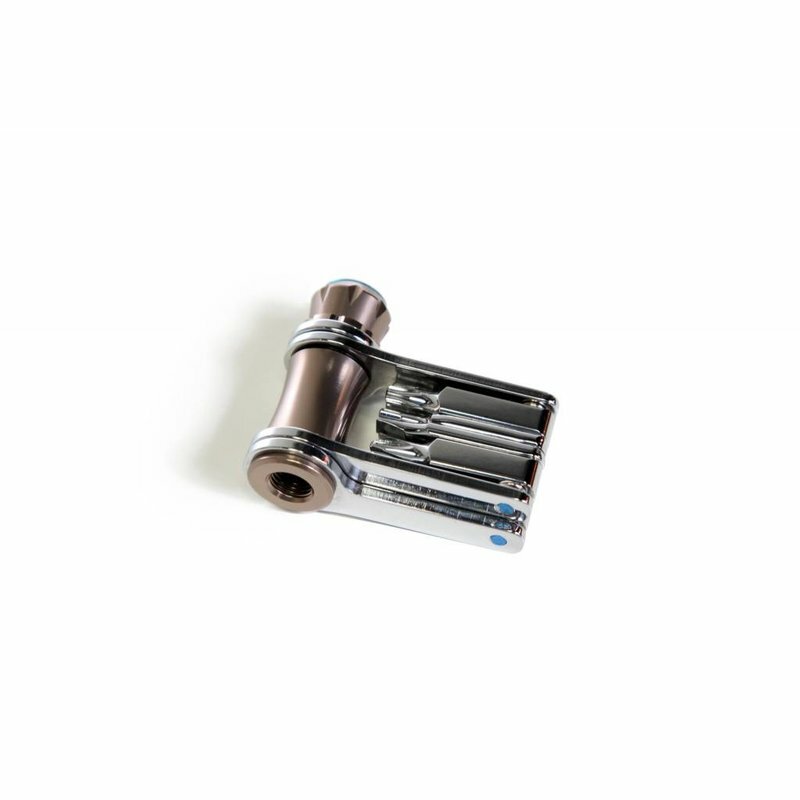 All the tools are chrome plated and the inflator, which doubles as the hinge, is made of polished aluminum. 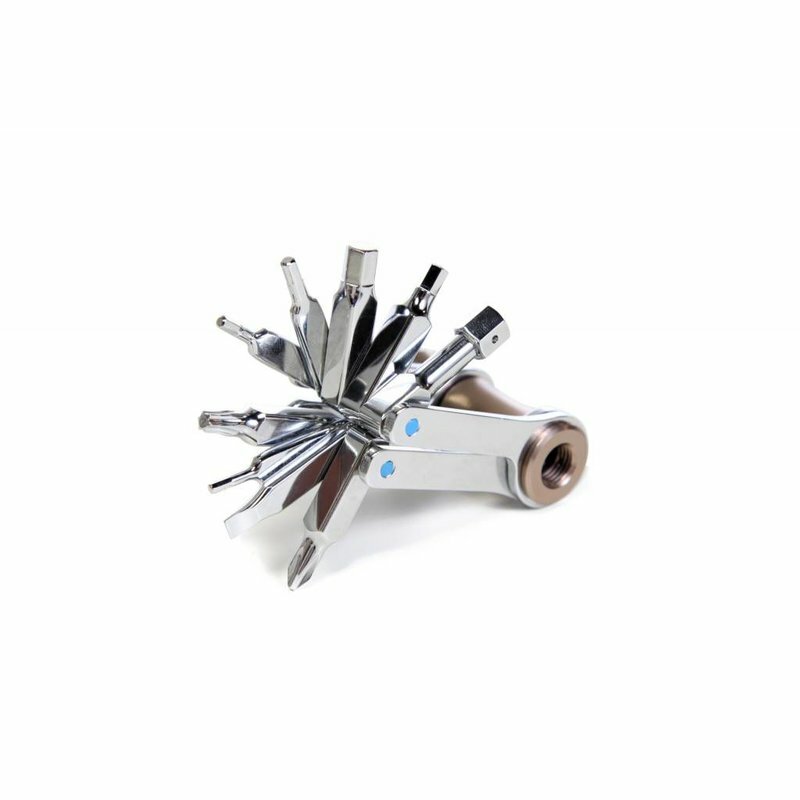 The Smart fit valve fits both Schrader and Presta valve stems so that you only need one tool for you and your friends. Ride like a load has been lifted from your shoulders with the light and durable Noble 11-in-1 cycling multi tool kit.